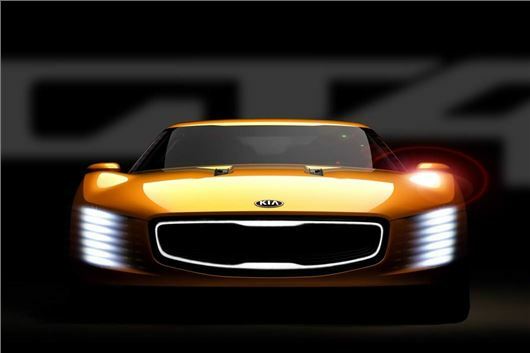 Kia will reveal its GT4 Stinger concept at the Detroit Motor Show on 13 January. The 315PS, rear-wheel drive sports car will be powered by a turbocharged 2.0-litre engine and get aggressive styling. The futuristic 2+2 concept has been conceived and designed by Kia’s California-based team and is believed to be a snapshot of Kia’s future design, with a prominent ‘Tiger Nose’ grille flanked by vertical LED headlamps. Front-brake cooling vents will funnel air around the GT4’s 20-inch wheels whilst a carbon fibre front splitter mounted below the bumper to boost downforce. Kia’s high performance concept follows the news that its affiliate Hyundai will enter the World Rally Championship with the i20 and built hot cars under its new ‘N’ brand. However, shares in Hyundai and Kia Motors have dipped more than five per cent in January 2014 after management issued its weakest global growth forecast in 10 years.